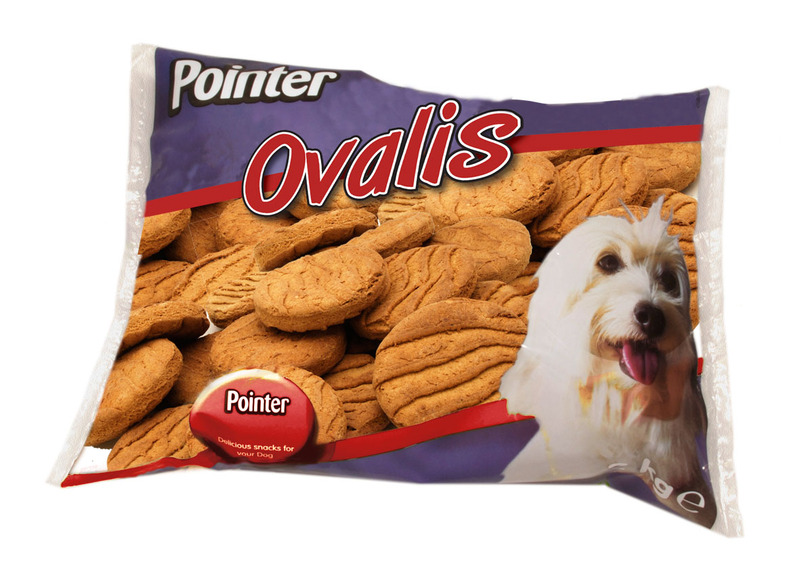 Ovalis biscuits from Pointer are a protein-rich biscuit which has been oven baked to provide a tasty, crunchy finish. Ideal for treating your dog or just as a snack. Derivatives of Vegetable Origin, Meat and Animal Derivatives, Cereals, Minerals, Oils and Fats. Below are some recent questions we've received regarding Pointer Ovalis Biscuit Dog Treats, including answers from our team. What is the actual size of the biscuits, as I am looking for ones about 8-10 cm in diameter? Or are these the same ones. Please be advised this treat is on average between 7.2cm - 8.8cm in diameter. The shape of the treat may vary due to the electronic manufacturing process.